Successfully Added HK Warehouse Xuanwheel X1 Bike Wheel Light - 196 RGB LED, iOS + Android App, 1950mAh Battery, Double-Side Display, DIY Functions to your Shopping Cart. The Xuanwheel X1 LED bike light is the latest and greatest way to pimp out your wheels. 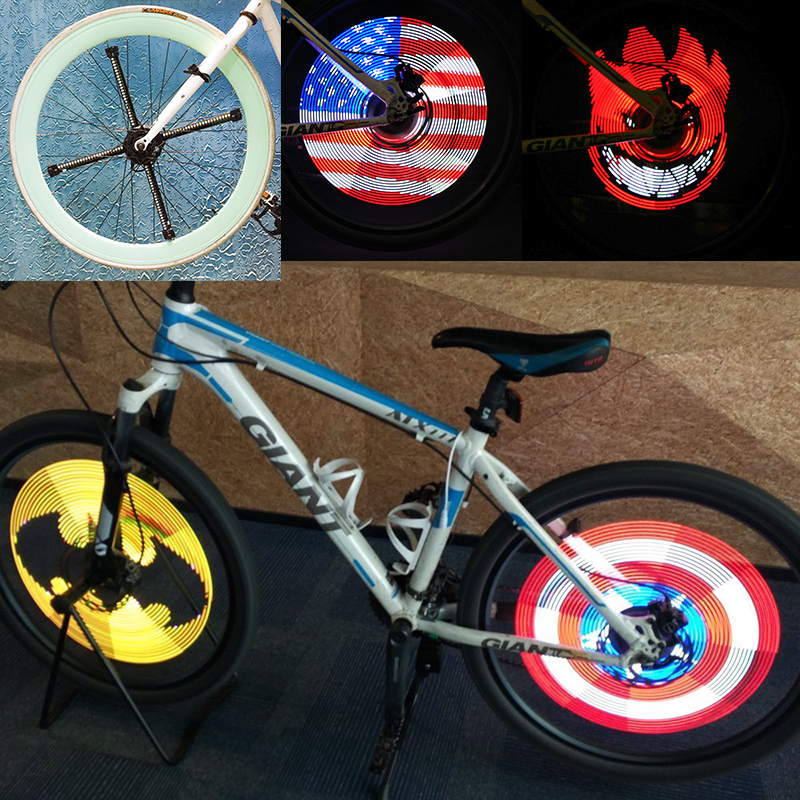 With 192LED lights this double sided display bike light lets you put custom pictures on your wheels. The Xuanwheel X1 LED Bike Wheel light comes with a 12 months warranty, brought to you by the leader in electronic devices as well as wholesale bike lights..
APP function: Pictures, Texts, Moving images can be displayed on the wheel with the XuanWheel; The APP also can display the bicycle data as a stopwatch. XuanWheel X1 can be installed on one wheel. Please buy two products if you want to assemble lights on both wheels.